1. 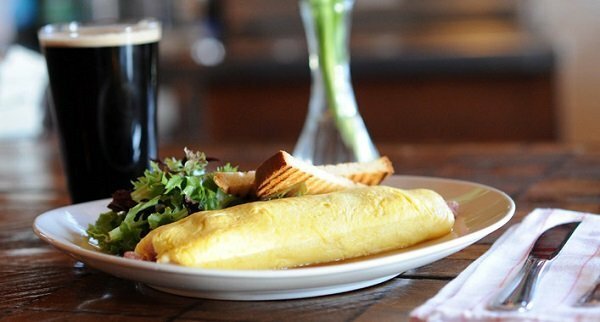 For Canadians, lower the temperature gets, heavier their breakfast gets. A heavy meal at the start of the day puts their metabolism in a high speed, thus keeping their body warm. What's more, whenever they get a little bit under the weather, they tend to increase the portions of their breakfast even more. 2. Chicagoans invest heavily in hand warmers. In fact, these are so central in their keep-me-warm kit that they prefer buying loads and loads of disposable ones! 3. Russians love to sweat it out for hours and hours in their banyas. What can be more quintessentially Russian than a banya ? This ancient bathhouse tradition is one of the most well-known symbols of the nation. The essence of a banya is steam. Producing the right steam is crucial as Russians make a distinction between the light and dry steam or the thick and wet one. This is essentially what differentiates the sauna from the banya: The latter has wet, moist steam while the former is based on hot, dry steam. 4. The Swedes keep themselves toasty by using their own ingenious invention, earbags. They are just like ear muffs only without the discomforting headbands. You can just snap them directly onto your ears and keep them warm throughout the colder months. Seriously, who needs a beanie or a hat when you've got these! 5. The Dutch keep their feet cozy with their traditional foot stoves. 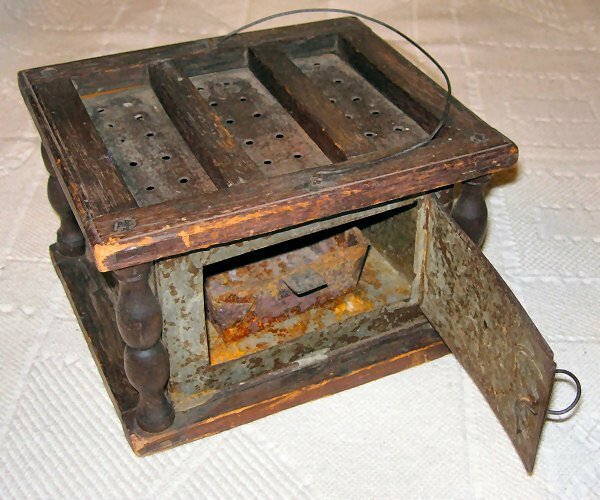 A Dutch foot stove is traditionally made from a wooden box, open on one side and includes holes or a slab at the top. Hot coals or charcoal are placed into the slab and then the feet are placed on top. A blanket over the legs would also help them to stay warm. 6. The Kashmiris enjoy the cold weather by sipping a nice hot cuppa of their winter brew, kahwa . 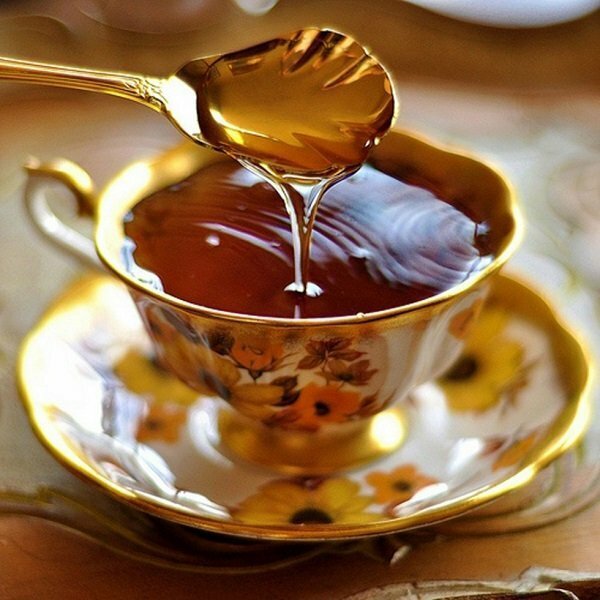 Kahwa is a traditional green tea preparation made with exotic spices. The signature blend features fine green tea which has been combined with rich ingredients, including cardamom, almonds, cinnamon and cloves. 7. A Japanese family sits around a Kotatsu to save themselves from the chilly weather outside. Japan’s winters can be extremely harsh with temperatures commonly dropping to a piercing -30°C! Kotatsu is a common concept used by many Japanese to keep the heat in. It involves a low-sitting table with a heavy blanket around the edges and a heater attached beneath it. In extreme conditions, the Japanese people also take naps underneath the kotatsu (along with their pets). 8. The Chinese actually use a, wait for it... BED STOVE! 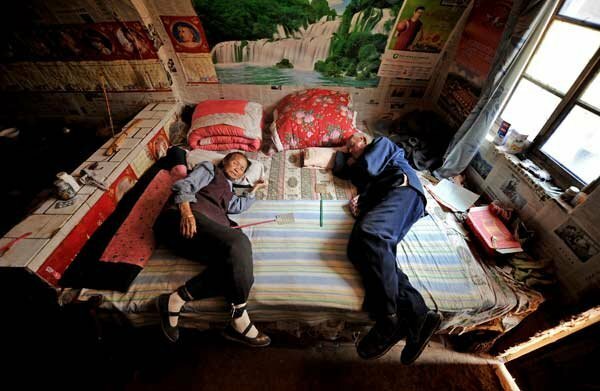 In the northeast of China, it is said that people can't even survive without a kang bed (a platform of clay bricks with a hole underneath for heating elements). The hole under the kang frequently houses a small fire and the stone platform absorbs and radiates the heat throughout the night. 9. 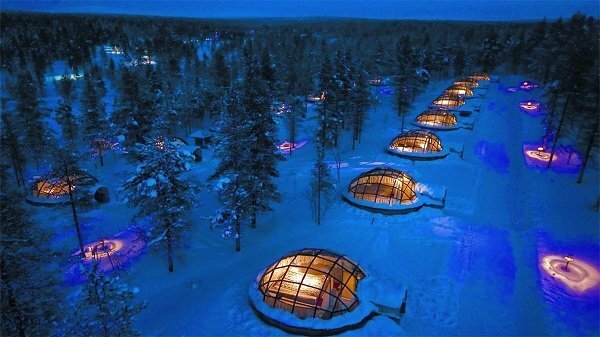 People living in the remote areas of Canada and Greenland get through the winters by staying in igloos. Although it may seem baffling that despite being made out of snow igloos stay warm. However, the principle behind them is fairly simple. The blocks of snow an igloo is made from has tiny pockets of air inside which act as an insulator. As a result, the air leaks out very slowly and the bodies of those inside create enough heat to keep things fairly comfortable. 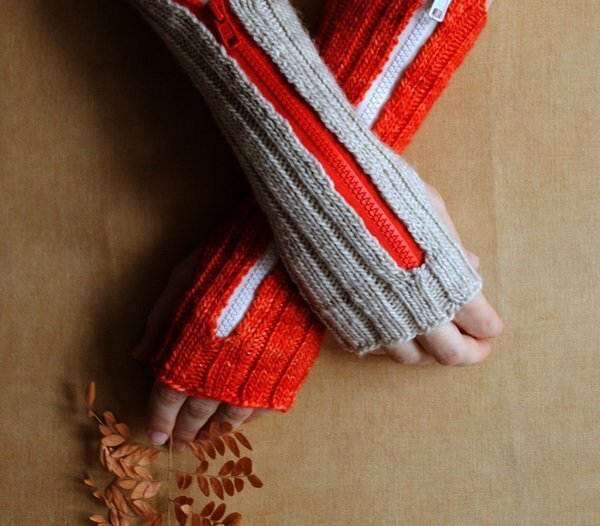 These are all tried and tested ways the world keeps warm. 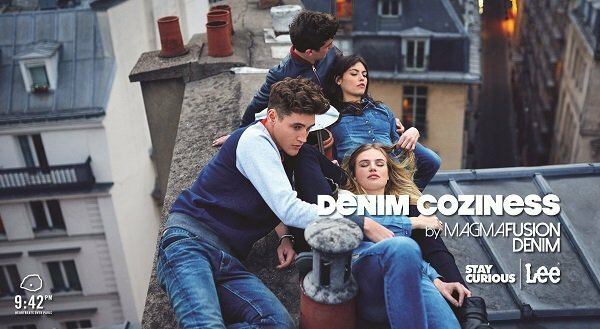 Lee Jeans’ volcanic crystal infused Magma Fusion Denims are just as sure-shot a way for you to stay warm this winter. Check out the range and you’re going to love the fact that winter is coming!